Given the match after it, it seems unlikely that the show’s opening “promo” — it was literally just Braun Strowman Braun-ing it up with the crowd in between exposition dumps before being interrupted by Finn Balor for further exposition — at the beginning of the show is going to turn either man (even if it’s nominally unclear if Braun is a “Good guy,” a “bad guy” or just “the guy”.) But, if they were to, it’s been left open for both to do something to the other at Money in the Bank and begin a feud that could carry each man to both SummerSlam and superstardom. Especially given that this clearly what both guys are the worst at, relatively speaking, and it was still a fairly watchable version of maybe the most unwatchable part of WWE’s week. Even if it feels like it would make much more sense for Kurt Angle to book the match on the big screen instead of walking all the way out to announce the match. Work smarter, Kurt, not harder. The resulting match was eminently more watchable than the opening segment, of course, if not as great as last week’s. After years in the wilderness regarding Finn, I’ve finally begun to understand what everyone else has seemed to see since he before he formed the Bullet Club: he works because he’s a small guy who feels like a main eventer because of his incredible look, not because he’s an exceptional small wrestler. That is to say, although he is very good, anyone expecting Rey Mysterio or even Seth Rollins levels of athleticism and acrobatics will be thoroughly disappointed. But if you’re looking for an aesthetically pleasing match worked by someone with a great understanding of ring psychology, who knows when it’s best to deploy his more spectacular (though, if we are being honest, relatively generic) moves to make pretty much any person he’s in the ring with look like he might be susceptible to the Coup de Grace. Balor’s increasingly deliberate targeting throughout the match is something you have to see in a match that actually requires it — like defeating a Big Boss like Strowman — because it unravels like a mystery where the solution may appear out of (logically consistent) thin air, instead of like a puzzle with all the pieces “magically” coming into place. That ability to frame the entire context of the match around his finisher — without going full Randy Orton and ignoring that even if you hurt a person’s head during a match they still usually have full function of their extremities to block your RKO with — let Finn sincerely looking like he can (and would have) beat(en) Braun if not for Kevin Owens‘s interference. 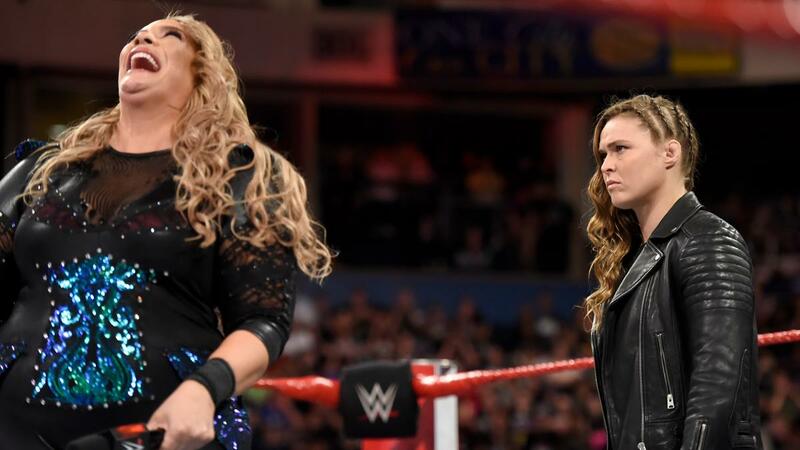 Which, despite the obvious size difference, was one of the few times they’ve established someone as a genuine threat for Braun without Strowman looking like less of a big deal than he clearly is. He looks like he has a lot to learn *in kayfabe* from working with a guy like Balor, who has worked his way up through the international independent scene and been in roughly four times the amount of match as he has.